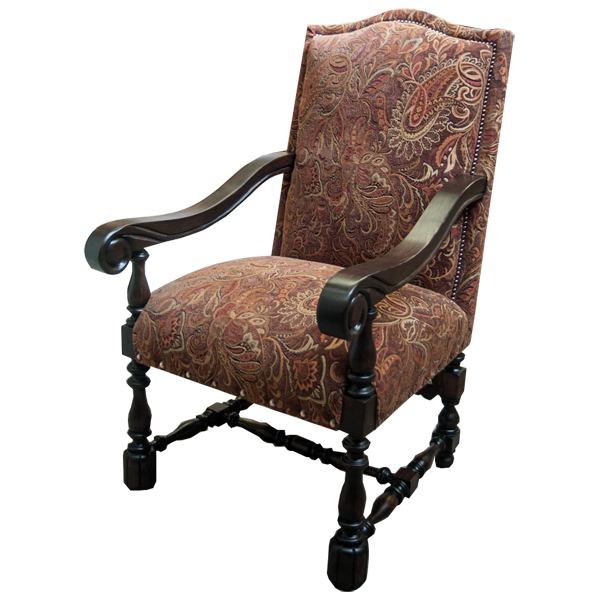 The beautiful, hand finished, scroll armrest and the wide, seat cushion make this custom chair a lovely and comfortable option. 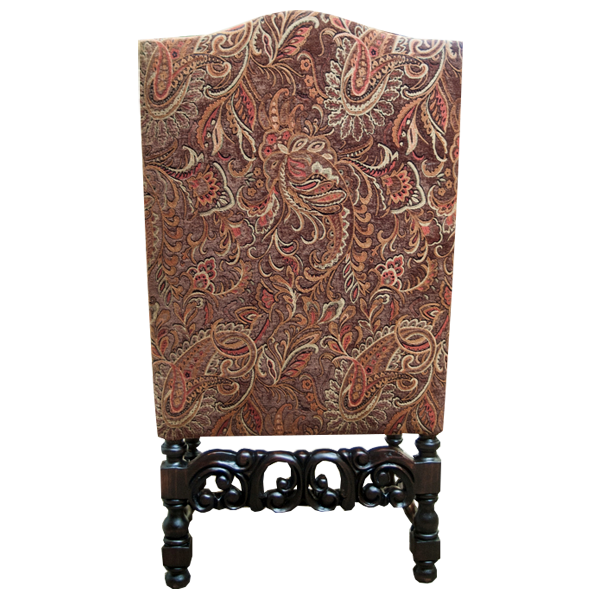 The chair has curved armrest that end in hand carved reed and scroll designs. The chair is supported by straight, hand turned front legs, and simple, slightly splayed back legs. The legs are joined by a hand turned “H” stretcher. 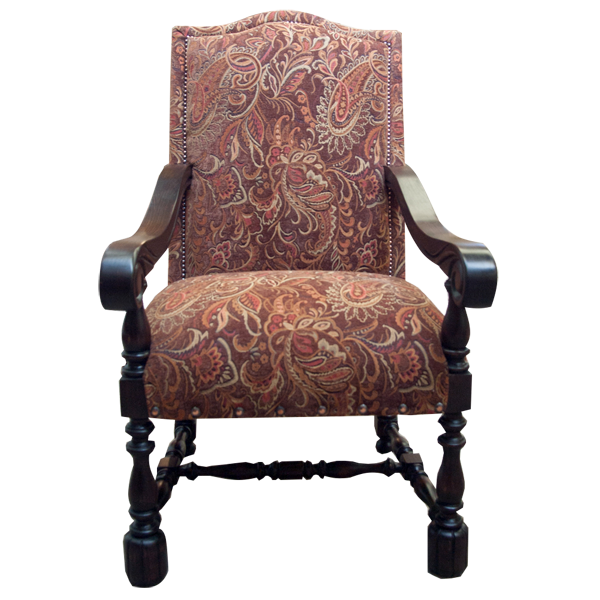 The wide, padded seat and both sides of the tall, curved seat back are upholstered in floral designed, fine fabric. 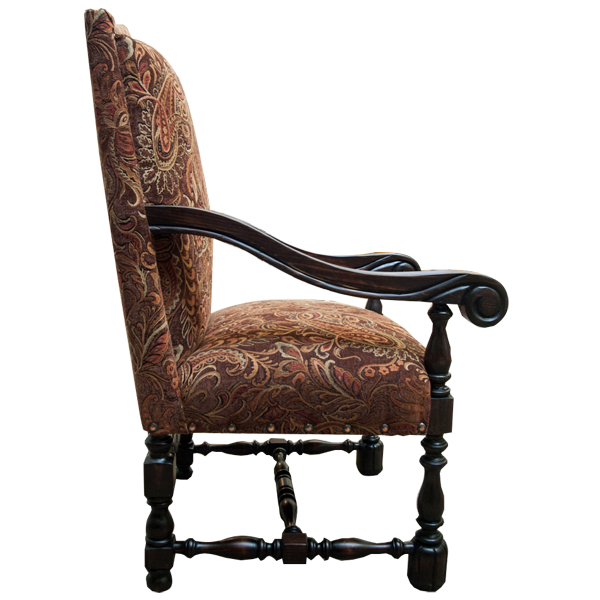 The sides of the base of the seat are embellished with large, decorative nails, and the seat back is adorned with small, decorative nails. The chair is made with the best, sustainable, solid wood available, and it is 100% customizable.